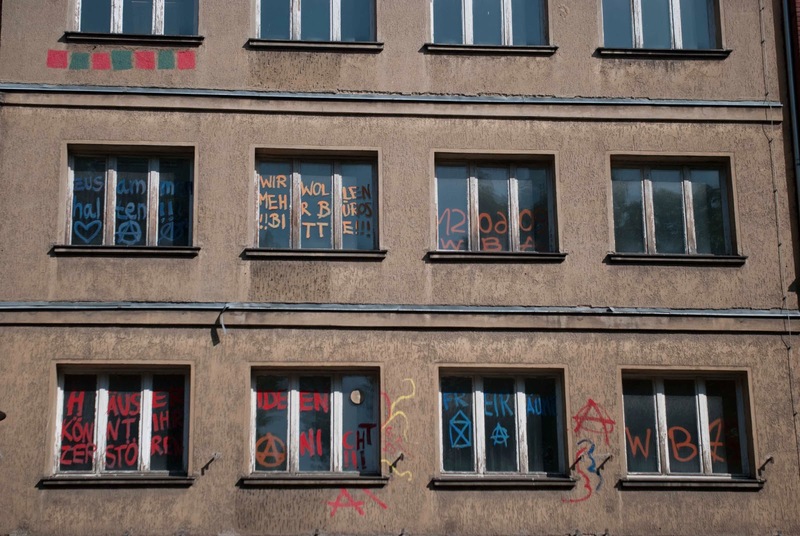 If you live in Kreuzberg, Friedrichshain or Neukölln, you might have played table-football with anarchists. You’ll have seen this lively demographic at demonstrations, in dimly lit bars and in dark shadows, but suddenly you’ll be not only playing table football with them but singing their hymns, deploring Facebook and fascists and pledging your blood to the revolution. Alcohol will help the whole seduction. The ANTIFA, Berlin’s most prominent anarchist association, is militantly active against Germany’s far right. ANTIFA members live a varied life: from planting trees at traffic lights and fixing strangers’ bikes for free, to cooking vegan dinners at VOKÜS or beating up Nazis on tube stops. No other German group is so gentle yet purposefully extreme. ANTIFA members live in occupied houses that are usually named after the street they live on. Peace flags and black circled As hang from the windows. The residents will support St Pauli, Hamburg’s left-leaning asylum for outsiders, and will deplore Hansa Rostok, the pride of the NDP. ANTIFA music draws on SKA, punk and Hip Hop and song themes range from never surrendering to fascists to turning the city green. House of slogans, not slaves. If you meet one, chances are you will meet 25. This progression to Post-Sallowism will occur in a caliginous basement that Osama Bin Laden couldn’t have conjured in his wildest dreams. There will be a table-football, AKA biliardino, fiercely competed over to a soundtrack of clattering plastic. Black hoods, black circled ‘A’ motifs and Berliner beer will be the orders of the day. You’ll recognize an ANTIFA bar because written prominently on the door or window will be the establishment’s distinct non-appreciation of Nazis. The windows will be pasted with stickers re-advertising everything from anti-nuclear campaigns to pro-asylum initiatives and the lighting will barely shine through the cracks of window that escaped the mass-pasting. NB: Do not arrive wearing Lonsdale, Fred Perry, Hackett or New Balance. These are no-go brands in Germany that carry extreme political connotations. Once you’ve discussed street fighting and planting marijuana in grounds of the town hall, move on to singing. If you can’t grasp any of the lyrics, just remember to sing "ANTIFA!" at the top of your lungs as required. All songs have an 'ANTIFA' moment. If you challenge at table football, by knocking unnecessarily loudly on the edge of the table-top, make sure you’re in a condition to actually stand. While the grips you hold onto can act as crutches, they’re slippery. Besides, you’ll be thrown all over the place trying to catch sight of the small white ball while singing about reclaiming nurseries and the minds of children. -Antifa is not one big organisation. There are dozens of Antifa groups in Berlin. They are very different. 90% of the text is not true. I'm not sure if it's ironic or something? Antifa groups don't plant trees. Of course there's nothing wrong about planting trees, but thats not an activity of an AFA group. What do you think we are? Hippies? 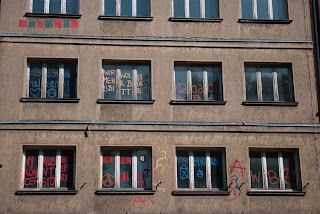 If you want to get an impression of the Antifa movement in Berlin you can check out antifa.de. It's the site of the Antifascist Left Berlin(ALB), a quiet important group.